On behalf of the KW Metro Center family, allow me the opportunity to say welcome! Being part of the largest real estate company in closed volume, closed units and an agent count of over 184,000 agents, gives advantages that are limitless for your future. You partnered with the #1 Training Company in America across all industries. You have the advantage of being part of a technology company that maintains transaction data within Keller Cloud which hosts multiple interconnected applications making business easier for you – this is with a partnership on data – a pledge that we will always respect your data as your business and will always allow you to take your data with you. Keller Williams Realty International (KWRI) is investing $1 billion dollars in technology and has built our own artificial intelligence (AI) award winning – “Kelle”. There is no other company in the real estate space that owns anything like it. Over the past 20 years as a real estate Broker, I have had the pleasure to spend 18 years with KWRI. It has been a road of growth both personally and professionally and let me give you a hint: you need to read, go to classes, listen to live streams, attend Mega Camp and Family Reunion. Each of these activities will stretch you and challenge you to be the best that you can be. I got into real estate to have no limits and in being part of this company, I have exceeded every single goal I have set. Be BOLD and yes, it is more than a class and a purple band you wear on your wrist … it is a way of life. Over the past eleven years, I have served on the Board of Directors of NVAR and the Board of Directors of Virginia Realtors. In addition, I have been RPAC (Realtors Political Action Committee) Chairman, one of the largest contributors to RPAC and will be inducted into the NAR Hall of Fame in 2019. I share this, to ask you to invest in your industry to protect your businesses. My responsibility as an Operating Principal is to cast the vision, secure our financial stability and maintain accountability of our market centers. This enables us to set goals and exceed them and continue down a firm path toward maximizing profitability and profit sharing among our agents and owners. 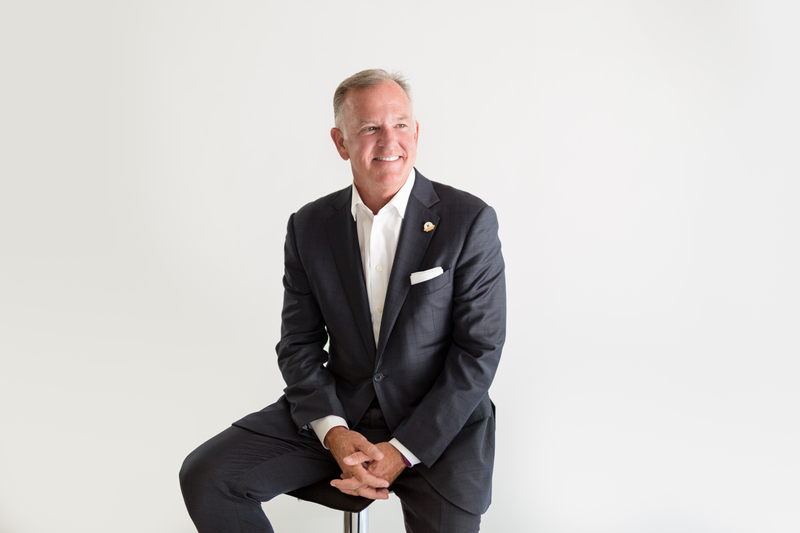 I am proud to lead our organization of KW Metro Center with over 630 agents, nearly 3,000 closed transactions last 12 months, and being a $1.5 billion company. My wonderful wife Nicole and I are celebrating 20 years of marriage. Yes, it is our one and only one! We share our home in Alexandria with our two dogs Patton and Winston.